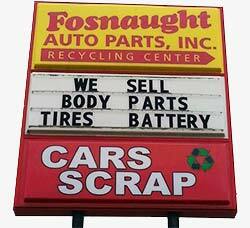 Fosnaught Auto Parts Inc. is the number one place for all your recycling and used auto parts needs. For over 60 years, we’ve been buying scrap metal and used cars, while also providing our customers with top dollar for their recycling and a huge inventory of used auto parts. Visit us today—whether you’re recycling or looking to buy—and get top-notch customer service from our team. We’re your all-in-one recycling center, accepting everything from scrap metal to used cars. We also have a huge inventory of used car parts for sale! Come to us for competitive payouts for scrap materials and used auto parts. We pride ourselves in compensating you fairly for your materials. Our business is backed by more than 65 years of experience and we’re a locally-owned, family-operated company. We buy cars in any condition! Even if it doesn’t drive, give us a call and we’ll gladly pay you for it and haul it away. All of the used auto parts we sell come with a 30-day satisfaction guarantee. Shop with confidence when it comes to our ever-changing inventory of parts. Looking for a place to unload your scrap metal or unwanted vehicles for a fair and honest price? Fosnaught Auto Parts Inc. welcomes you at our recycling center in North Canton, OH. 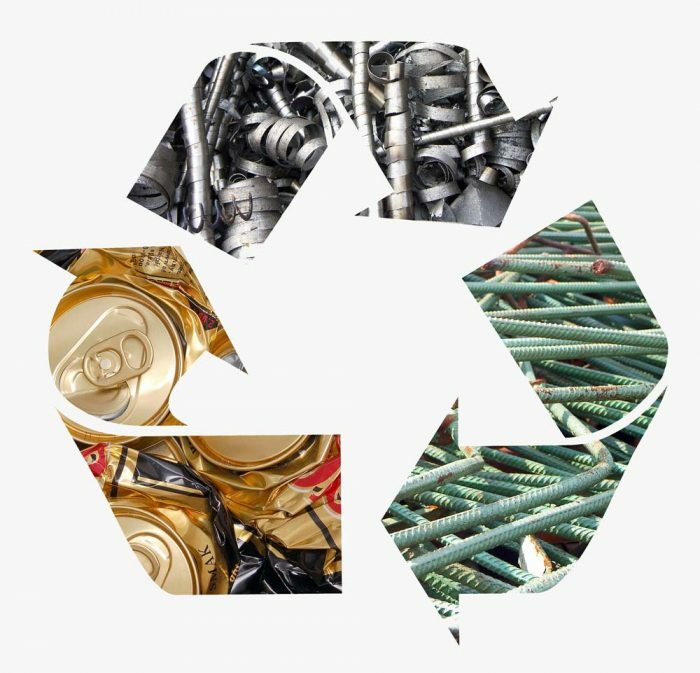 For decades we’ve been the go-to destination for savvy recycling professionals who want fair rates, friendly service and industry knowledge. We deal in all kinds of materials—everything from bulk scrap alloys to used auto parts in North Canton, OH. We’re knowledgeable in our trade and can provide you with everything from an up-to-date rate on scrap prices to information about how to get the most out of used auto parts. Whatever you need, we’re here to help. Above all else, we strive for two things: customer satisfaction and transparent recycling practices. You should always feel confident in doing business with us and we work hard to make sure we uphold the highest standards in the industry. For all recycling transactions, a valid ID is required, to help us uphold those standards and maintain the integrity of our business. For customers looking for used auto parts, we maintain a huge inventory of parts that are all verified working and backed by a 30-day guarantee. Visit us today and see the high standards we set for ourselves, in order to provide you with exceptional service. Get rid of your scrap metals and junk cars with us! We’ll pay you top dollar for your materials and aim to be your go-to source for any recycling business you may have. Visit us today.